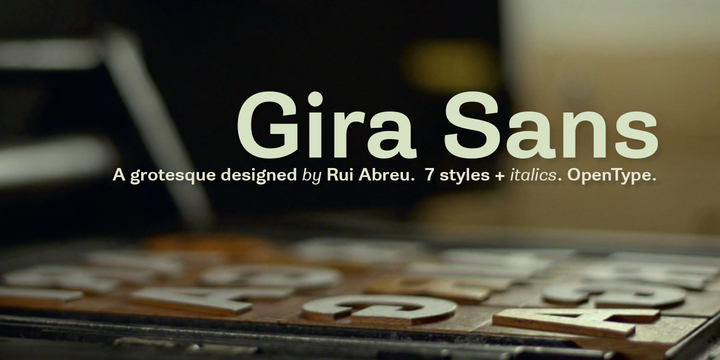 Gira Sans is a sans serif typeface created by Rui Abreu and published by Fountain. This family font contains 14 fonts perfect for headline and editorial design. Enjoy! A font description published on Tuesday, March 26th, 2013 in Fonts, Fountain by Alexandra that has 4,631 views.